5000 trees have been planted on Land for Wildlife properties within our program to enhance habitat for the Black-footed Tree-rat. 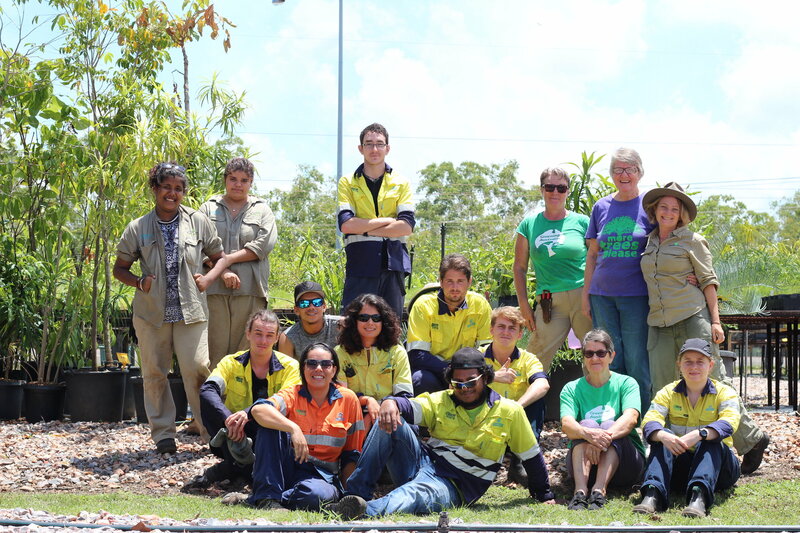 This project is supported by the 20 Million Trees Program, through funding from the Australian Government’s National Landcare Program. Over the wet season, mostly in January and February of this year we planted out over 5,000 tree species, grown by the Greening Australia plant nursery, that were chosen as a food source or habitat plant for the endangered Black- footed Tree rat (Mesembriomys gouldii), an NT native rodent which has been in decline over the last decade. 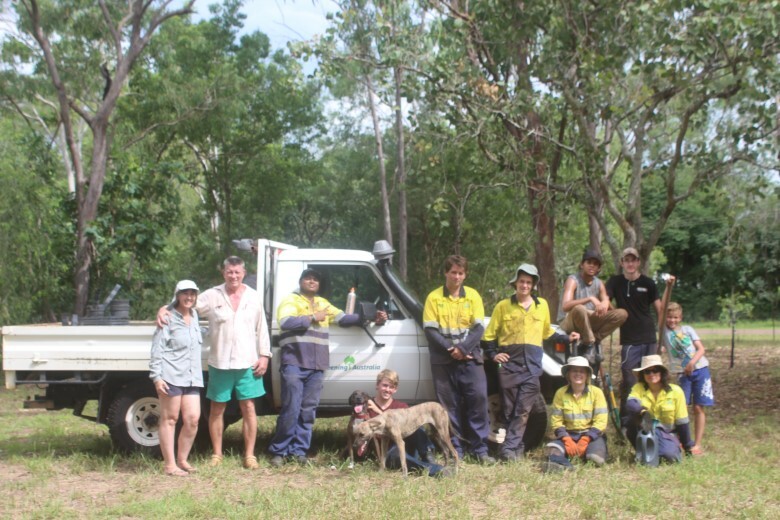 The project is run in collaboration with the Green Army and this fabulous team of young people helped plant out on 18 Land for Wildlife properties in the Darwin and rural area. These properties are in Leanyer, Howard Springs, Humpty Doo, Darwin River and Bachelor. 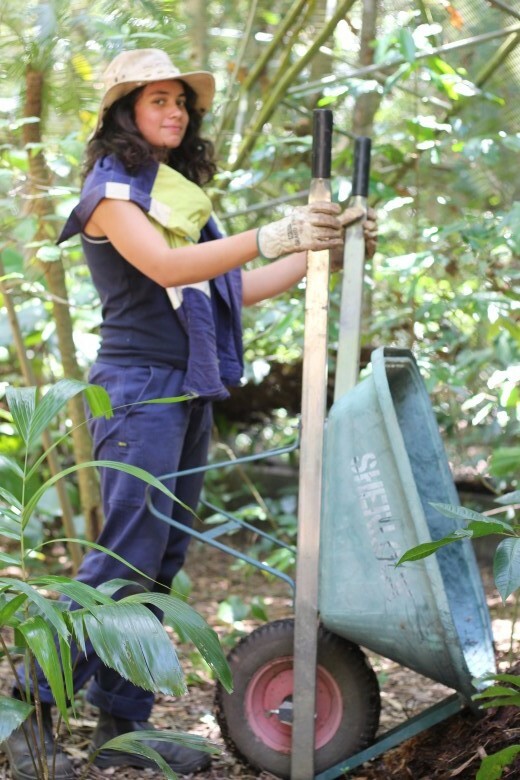 The team also collected seed, propagated plants, assisted in the nursery and helped Land for Wildlife members in the program with some weed management. We had a wonderful wet season and so the plants were given a good start and watering in. Landholders have also signed an agreement to look after the plants, keeping them watered until established and working on weed and fire management within the areas. 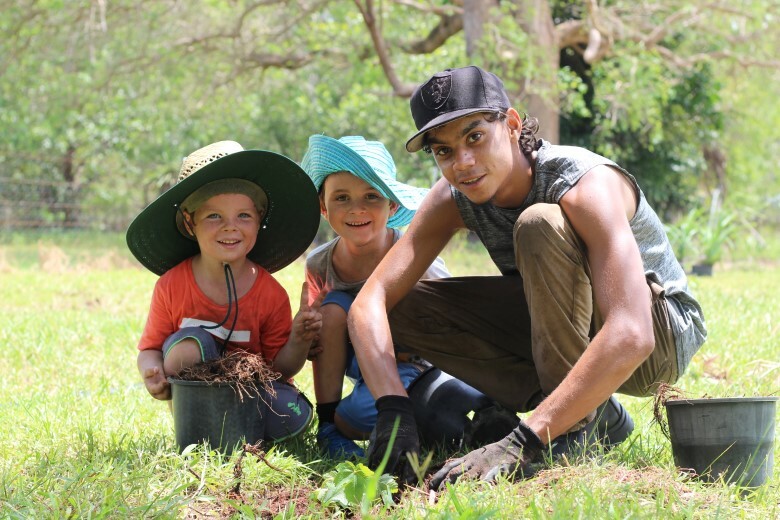 Above: The grand kids of Land for Wildlife members Margi and Digby, help a Green Army team member plant new trees at Howard Springs. The team after another full day of Tree planting with Land for Wildlife members. 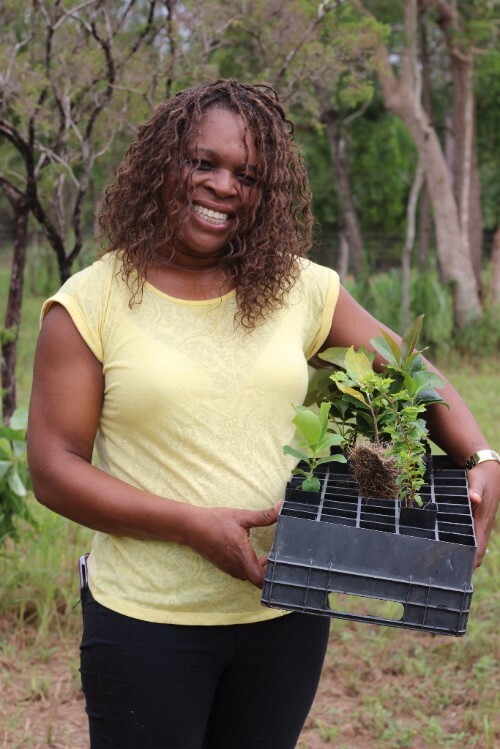 Land for Wildlife member Shelly from Herbert happy to receive her plants to re-vegetate a previously under cleared area. 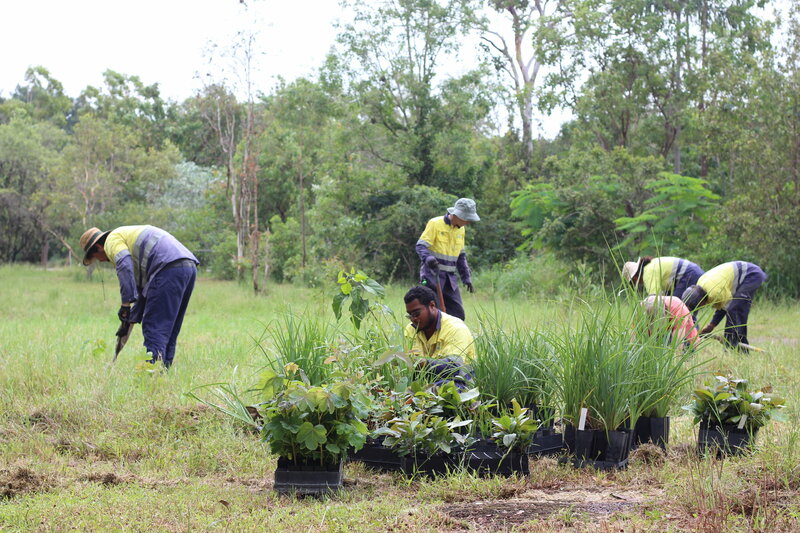 There are over 20 native plant species being planted, including the Red Bush Apple (Syzygium suborbiculare), Green Plum (Buchananaia obovata), Billy Goat Plum (Terminalia ferdinandiana), Pandanus (Pandanus spiralis), Planchonia careya and various Eucalypts and Acacias. This first property backs on to the Leanyer Swamp, some of which is set aside for conservation, making it a great wildlife corridor. 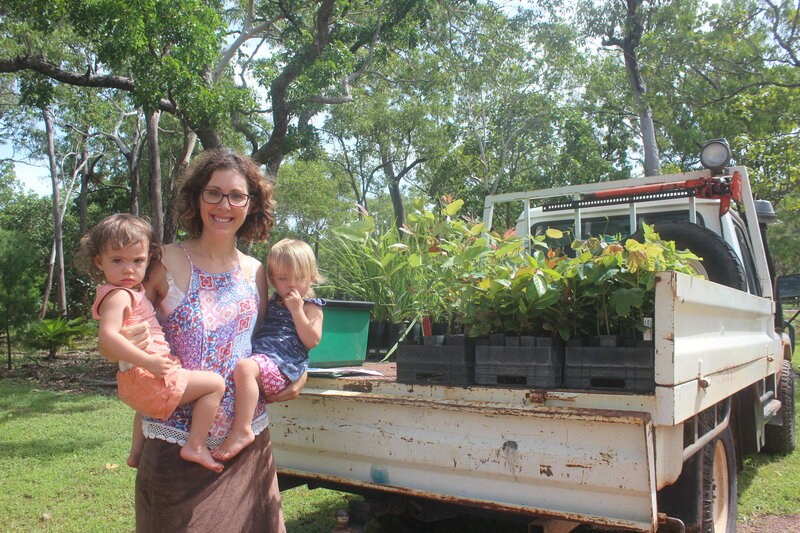 After 9 months of helping collect seed, propagate, care for plants and undertake nursery operations, the Green Army team met landholders and planted out the trees. 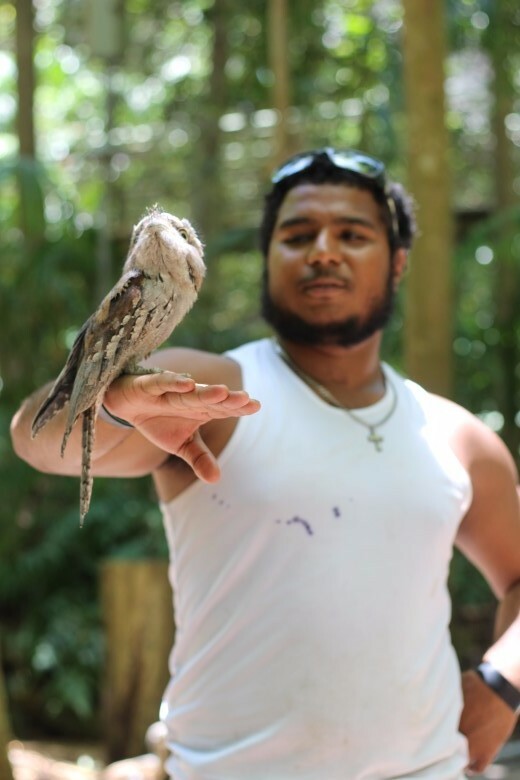 The team learnt not only practical skills, but social ones too and they had the chance to hear the stories and see a snippet of the lives of many land managers and how they all interact and care for the natural world. This wonderful young team got to learn about further careers and studies and included a visit from Parks and Wildlife Rangers and a tour of the Territory Wildlfie Park and their keepers and how they got their jobs. Thanks to the Green Army and best of luck in whatever comes next in life for you, we hope you are happy in whatever you pursue and appreciate your time with us! We have another team starting with us in August.